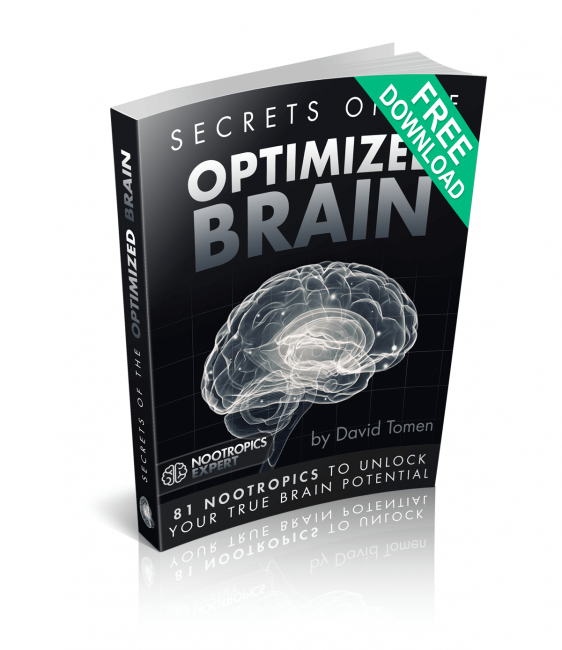 Searching for the best brain supplement? It’s confusing, isn’t it? Even feels a little overwhelming. How in the world do you choose which one will work best for you? That’s why I founded Nootropics Expert several years ago. To help you get past the slick marketing. Take the mystery out of nootropics so anyone could understand what may work. And what to avoid. Here you’ll find what I’ve found to be the best brain supplements available anywhere. They’re all natural and you don’t need a doctor’s prescription. But don’t take my word for it. 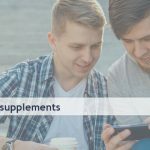 Click through to each individual nootropic supplement I review in this post. And see the peer reviewed clinical evidence for yourself. The first section of this post is what many consider to be the “ultimate solution” for brain health in 2019. But in the last section I reveal a simple, universal, all-in-one solution that makes it easy for anyone to try. See if brain supplements can make a difference in your life. 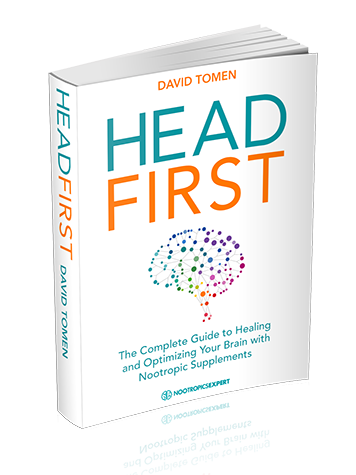 This nootropic stack enhances every area of brain function with just one capsule. 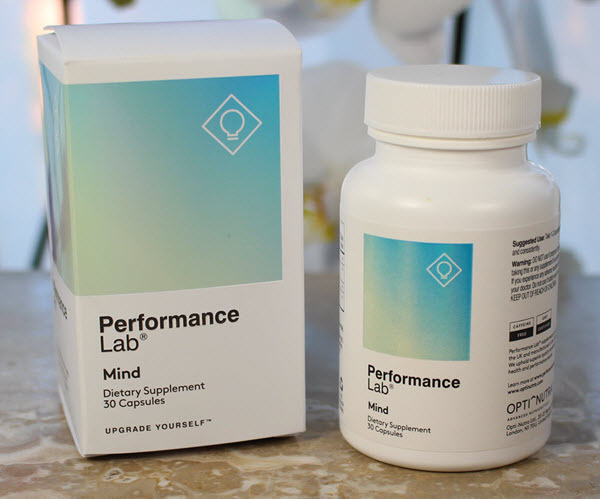 Performance Lab® Mind increases brain energy and reduces mental fatigue by supporting mitochondria and boosting cerebral blood flow. Mind helps neurogenesis by increasing the density of neurons and synapses. It supports neuroplasticity required for learning, memory and overall brain function. And Performance Lab® Mind enhances focus, reaction-time, brain processing speed and memory by boosting brain energy, critical neurotransmitters and hormones depleted by stress. Citicoline performs these functions by boosting acetylcholine levels in your brain, is involved in coding, decoding, regulation and gene expression, and contributes to the repair of damaged neuron membranes. Phosphatidylserine (PS) is a phospholipid component of the membrane encasing every one of your cells. L-Tyrosine is a precursor to the synthesis of dopamine which is involved with libido, memory, focus, goal-oriented concentration, a mood elevator, and anti-depressant. This nootropic energy stack provides all-day energy and vitality in just two capsules. Without the negatives associated with energy drinks or shots. 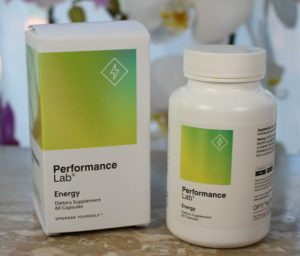 Performance Lab® Energy supports Adenosine Triphosphate (ATP) energy production, boosts mitochondrial function and genesis, fat metabolism, and overall metabolic efficiency. 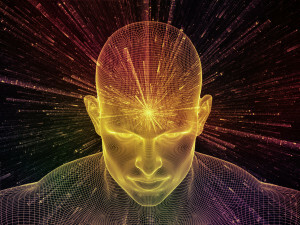 You experience whole-body and brain energy from a cellular level. No caffeine or other nasty ingredients that result in an energy crash. Just pure, clean energy all day long. CoQ10 is a fat-soluble vitamin-like coenzyme required for energy flow and transfer in each of your cells. A critical part of the electron transport chain and cellular respiration, CoQ10 generates energy in the form of Adenosine Triphosphate (ATP). And acts as an antioxidant and scavenges free radicals within mitochondria. Protecting mitochondria and your cells from oxidative damage. So if you are dealing with brain fog, slow thinking, poor memory, depression, or migraines it could be because of mitochondrial dysfunction due to low CoQ10. Pyrroloquinoline Quinone (PQQ) is an enzyme cofactor critical to the life of your brain cells. PQQ has the unique ability to promote the growth of new mitochondria. [vi] And improve the function of your existing mitochondria. Mitochondria’s role it is to convert the food you eat into energy that powers each of your cells. More mitochondria mean more energy. Resulting in quicker thinking, better memory, elevated alertness, and less mental fatigue. PQQ works in synergy with CoQ10 for dramatic improvements in mental and physical energy. A required cofactor for cell energy production, ALCAR shuttles fatty acids into mitochondria, and provides the fuel that is burned for energy. And then as ALCAR shuttles fatty acids out of mitochondria, it flushes out toxic byproducts. ALCAR also donates an acetyl group to form Acetyl CoA. Required for the synthesis of acetylcholine which boosts alertness, memory, and fluid thought. A form of alpha lipoic acid, R-Lipoic Acid is a cofactor for mitochondrial enzymes involved in carbohydrate energy production. R-Lipoic Acid also regenerates other antioxidants like Vitamin C and Vitamin E, glutathione and CoQ10 already in your system. For use over and over again. Reduced oxidation and free radicals mean more energy. Piperine is an extract of black pepper which has been shown to boost the bioavailability of other nootropic supplements. 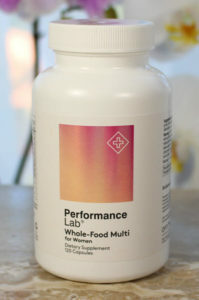 Enhancing the overall potency of this brain supplement. The best brain supplement in the world will not help you if you don’t get enough sleep. If you deal with sleep issues one or more times per week, you’ve likely searched for effective natural sleep aids. Something that’s safe and effective to use long-term. But the problem with nearly every other natural sleep aid on the market is synthetic melatonin. Now you need melatonin for sleep without question. But melatonin is a hormone. And like many others, you may have had an unpleasant experience using melatonin as a supplement. Performance Lab® Sleep works. And it doesn’t contain synthetic melatonin. It’ll help you fall asleep faster, stay asleep all night, and wake up the next day feeling refreshed. Montmorency tart cherry is nature’s richest natural source of melatonin. It’s identical to the hormone secreted by the pineal gland in your brain. Tart cherry is also a potent antioxidant and anti-inflammatory. Repairing your body while you sleep. Tart cherry extract in Performance Lab® Sleep may help you fall asleep faster, stay asleep, and help repair your body and brain. Leaving you feeling refreshed and physically ready to start your day. Magnesium is the 4th most abundant mineral in your body. And a cofactor in more than 300 enzymatic reactions. Magnesium helps relax smooth muscle cells and nerve cell signaling. Allowing for easier blood flow and lower blood pressure that precedes sleep. Magnesium ions also control the ion channels critical for the neuroplasticity required for memory consolidation while you sleep. 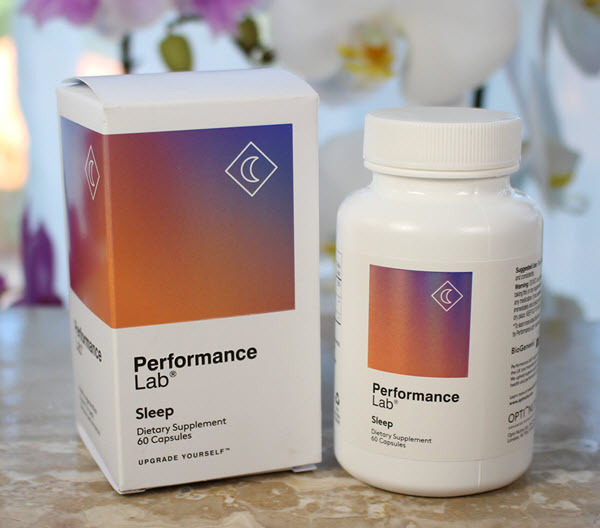 Performance Lab® Sleep uses 3 different forms of magnesium (Bisglycinate, Taurate and BioGenesis® Magnesium) to ensure you get the whole-body and brain benefit from the sleep-inducing and repair qualities offered by this mineral. Tryptophan is one of the best natural sleep aids available without the unwanted side effects of prescription sleep meds. Tryptophan is an essential amino acid and precursor to serotonin, melatonin, and Vitamin B3 (niacin) in your body and brain. Tryptophan works even better in this supplement as a sleep aid because it’s combined with magnesium (in Performance Lab® Sleep), and Vitamin B6. Both are required to synthesize serotonin which goes on to produce melatonin. It should come as no surprise that I include a prebiotic supplement in my list for best brain supplements. We are only beginning to understand the extent to which our microbiome has a direct influence on mood, anxiety, energy levels, bones, weight control, and immune system. But one thing is crystal clear – a healthy gut is critical to your overall health and wellbeing. Most natural health experts and even some doctors recommend using a probiotic to replenish your microbiome. But the problem is trying guess what our personal microbiome needs. Out of the dozens of possible combinations of probiotic bacteria. The easier and less expensive option is to feed the native Bifidobacterium and Lactobacillus already in your gut with a quality prebiotic. And support the built-in intelligence your microbiome has had from the beginning. 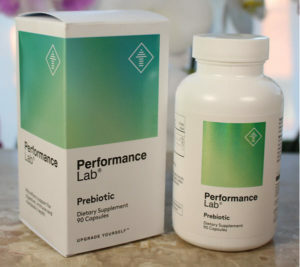 The Orafti® Synergy1 inulin-FOS fiber used in Performance Lab® Prebiotic passes through your stomach acids unharmed and is fermented by Bifidobacterium in the colon. It’s designed to fertilize your gut’s existing microflora. Helping to promote robust, organic growth in a gentle way so you get the benefit of a healthy gut every single day. You should find constipation is no longer a problem (even if it’s opiate-induced), fewer allergy symptoms, less brain fog, more energy, and clearer thinking. Sugar cravings diminish, and if you use it every day, you may find it easier to control your weight. Performance Lab® Prebiotic is great value as well. Because it’s far less costly than any quality probiotic. The very best brain supplement in the world will not help you if you’re not getting an adequate daily supply of vitamins and minerals your body needs to survive and thrive. These vitamins and minerals are the nutrient fuel essential for every bodily function that takes you through your day. In an ideal world you’d get these nutrients from food. But because of factory farming, processing, transport, cooking and other depleting factors, your food is far less nutrient-dense than most people realize. Multivitamins are designed to supplement what you don’t get from food. 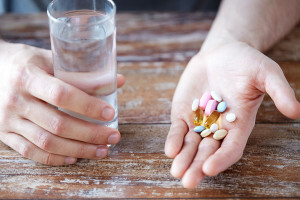 But the majority of multis on the market are made from inferior isolated and synthetic nutrient forms that are difficult for your body and brain to absorb and use. 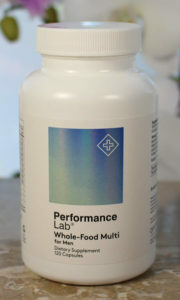 Performance Lab® Whole-Food Multi’s BioGenesis™ vitamins and minerals are different. Grown under tightly controlled lab conditions, they mimic the structure of nutrients grown in nature. You get the enzymes, probiotics, amino acids, and other nutrients your body requires. And because BioGenesis™ nutrients are nature-identical, your body recognizes them immediately. Absorbing and utilizing what you need. If you want to unlock the full health- and performance-enhancing power of vitamins and minerals, try the Performance Lab® Whole-Food Multi for men or women. You WILL feel the difference. Guaranteed. The ultimate solution for overall brain and body health and performance is the combination of the Performance Lab® supplements I’ve described so far in this post. But if you want the ideal all-in-one brain optimization solution in just 2 capsules per day, it’s Mind Lab Pro®. I’ve tried many pre-made brain supplement stacks from around the world. 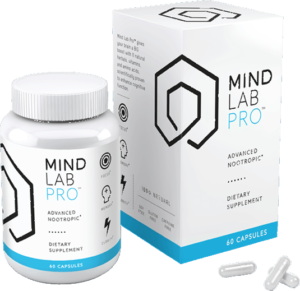 But Mind Lab Pro® is still the standard all others are compared to, but none have matched. The combination of ingredients is ingenious because each works in synergy with others in this stack to amplify their combined benefit. The result is better memory and recall, faster thinking, stress resistance, less anxiety, better mood, more motivation and creativity, and longevity. Citicoline 250 mg (Cognizin®) – boosts acetylcholine and supports brain cell membranes resulting in better mood, memory, attention, focus, and concentration. Phosphatidylserine (PS) 100 mg (Sharp PS® Green) – phospholipid component of brain cell membranes maintains fluidity, optimizes receptors, and promotes neurotransmitters like acetylcholine and dopamine resulting in better memory, slowing cognitive decline, and improving mood. Bacopa Monnieri 150 mg (extract with 24% bacosides) – potent natural antioxidant which protects brain cells, and promotes acetylcholine, GABA and serotonin, resulting in better learning and retention, faster thinking even under stressful conditions, and less anxiety. Lion’s Mane Mushroom 500 mg – stimulates nerve growth factor (NGF) which helps brain cell regeneration and myelin sheath synthesis, resulting in better memory and mood, with greater longevity. Maritime Pine Bark Extract 75 mg (95% proanthocyanidins) – potent natural antioxidant and cerebral blood flow booster, resulting in more mental energy, better memory and long-term brain health. N-Acetyl L-Tyrosine (NALT) 175 mg – amino acid required for the synthesis of dopamine, norepinephrine and epinephrine, resulting in better thinking and mental performance even in high-stress conditions. L-Theanine 100 mg (Suntheanine®) – increases alpha brain wave activity and promotes serotonin, dopamine and GABA, resulting in a calm, relaxed state while boosting alertness, focus, creative problem solving and improved learning. Rhodiola Rosea 50 mg (3% rosavins & 1% salidrosides) – an herbal adaptogen which promotes norepinephrine, dopamine and serotonin, resulting in enhanced mental processing, memory, learning, attention, mood and work capacity even under stressful conditions. Vitamins B6 (2.5 mg), B9 (100 mcg) and B12 (7.5 mcg) (BioGenesis™) – which control homocysteine, neurotransmitter synthesis, gene expression, brain energy metabolism, mood balance and myelin sheath synthesis for protection and longevity. Morning is usually the best time to take nootropic supplements. If it’s a 2-capsule dose you can take a capsule in the morning and the other capsule at noon. Use brain supplements when you need the support during your day. The exception is Performance Lab® Sleep which should be taken 60 – 90 mins before bed. Everything reviewed on this page by Performance Lab® and Mind Lab Pro® are considered safe, and well-tolerated by most people. They are even caffeine-free which means you don’t need to worry about a crash later in the day. Every brain supplement described here is safe to use every day, with no cycling required. 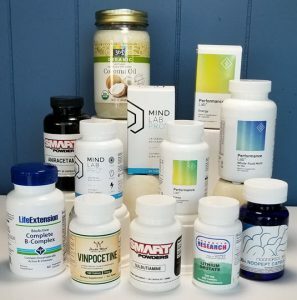 These truly are the best brain supplements available anywhere in the world for 2019. Interest in brain health and better cognition continue to grow around the world in 2019. People from all walks of life are looking for ways to support their brain. The secret to choosing the right brain supplement for you is to decide what’s important to you right now. If it’s better brain health, faster thinking, a better mood, less anxiety, superior memory and a long-life, avoid inferior supplements. Choose supplements that are backed by solid science with a great track record. Don’t fall for slick advertisements and weak promises. You’ll excel in 2019 by choosing any or all of the Performance Lab® supplements described above. 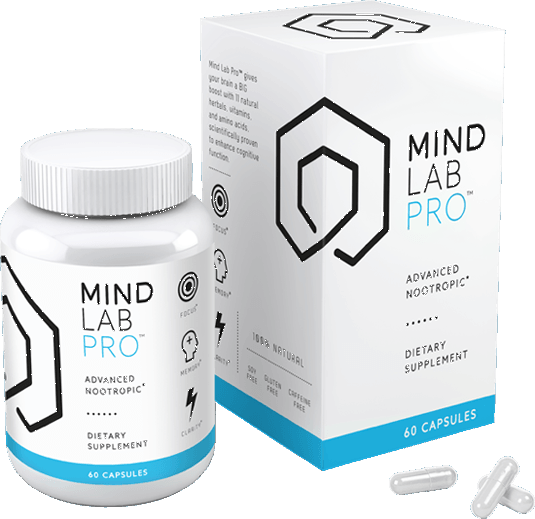 Or if you want something simple but highly effective, you can start with the number one universal nootropic stack, Mind Lab Pro®. It’s up to you what type of investment you want to make in your health and success this year. Both are great options.